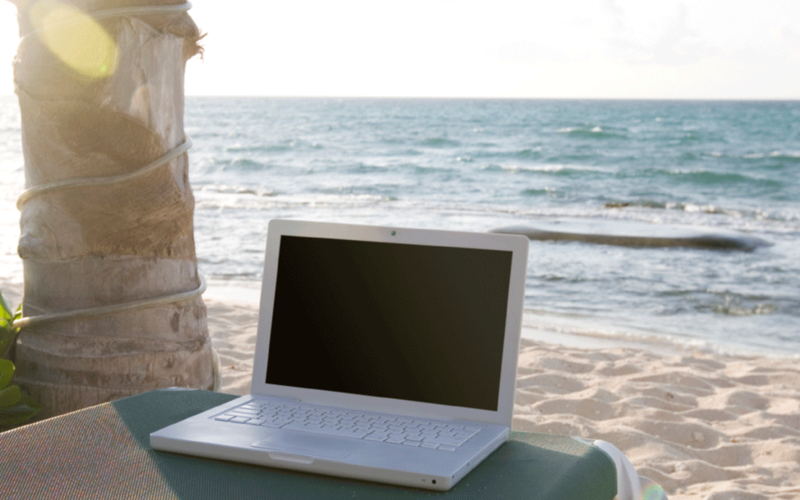 Remote access is a cool tool to setup if you would like to access your computer remotely from work or while away on vacation. It gives you full access to your computer, without physically having to be in front of it. Remote access is also a cool way to monitor an IP camera while you are away from your business or home. Although remote access is simple to setup and configure, it can prove difficult to consistently connect to your network if you have a dynamic IP address. A dynamic IP address at your home means that your IP address is constantly changing and it is not fixed. Think of your IP address as your mailing address at your house. If your mailing address was constantly changing, how would you get all those exciting bills and junk mail? You wouldn’t. So, dynamic DNS points your dynamic IP address to an easy to remember name. In order to access your computer or device remotely, you will need to point your device(s) to a static IP address. Static IP addresses are often very expensive, and many Internet Service Providers (ISPs) don’t even offer them to residential customers. The easy and (free) answer is to setup dynamic DNS. Dynamic DNS takes your dynamic IP address and points it to an easy to remember name. So, your IP address 95.204.109.175 would point to, yourname.no-ip.org. Okay, cool, but this doesn’t solve the issue of my dynamic IP address. What happens when it changes? What happens when my IP address changes and my easy to remember name no longer works? Many wireless routers have integrated dynamic DNS capabilities, meaning when you configure it with your No-IP account, your hostname will automatically update when your dynamic IP address changes. This means that your computer, device or network will always be accessible remotely. But what if my router doesn’t have No-IP as an integrated dynamic DNS provider? No worries. We offer free software that you can install on your computer, the No-IP Dynamic Update Client. Our Dynamic Update Client is available for Windows, Mac and Linux. This software takes up less than 8mb of space on your computer, but performs the same way as an integrated DDNS solution in your router would. As long as the Dynamic Update Client is running and is configured properly, it will update your easy to remember name (hostname) with your current IP address. What does this mean for me though? This means you can easily remote access your computer, device, or network. Have questions or need help? Don’t hesitate to open a support ticket and our friendly Technical Support Staff will help! You can use logmein you know. Sure, if you want to share your data with a third party like that… This is an easy way to do it yourself. Actually you can PAY for logmein now. They dropped their freemium service as of the end of January 2014. If you use it, you’re prompted to buy a 2 computer license for $50/year or gtfo. Thank you to Natalie for taking time to write this article. We appreciate it. Hello from Perth Western Australia, I’m trying to open an account but it keeps telling me my email account is already being used when I have not even signed up for the account yet. Can you pleas help me with this issue ??????? The explanation(s) above are excellent, especially for people like me who ar no computer or internet experts. Hy am using win7. Am set-up the no ip and make one host name. Also am using kali linux on virtual meachan. Am doing some pentest with the kali. So I need to give my ip address. That time I can posible to give no ip host name??? Now a days there are very bog trend of IP camera because of security. Thanks for providing useful details.